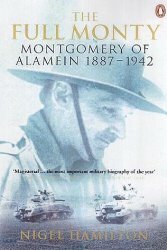 "The Full Monty" is a whopping 780 pages excluding appendices yet it is extremely well written and can be read at pace as it builds up a fascinating picture of Monty, how he brought about the victory at El Alamein and why he had to do what he did. 9/10. 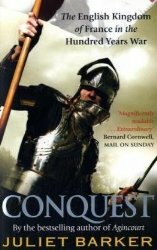 "Conquest" fails to overcome the detail that bedevils so much recent medieval history because the narrative gets lost in the endless stream of castles captured and marches made, plus the book is frequently let down by the lack of a good map. 5/10. I like your very succinct reviews. I think I may tend to get quite verbose when I do mine! The Monty book looks interesting. I'm nearing the end of Andrew Uffindell's The Eagle's Last Triumph, about Ligny, in which the author mentions Monty several times, always in glowing terms. Another recent read/review was Beevor's Ardennes 1944, which was rather more critical of him. But I've got so much to read I dursn't buy any more books! I also posted reviews very recently (although both were written some time ago now) of two Zamoyski titles: one being The Rites of Peace, about the Congress of Vienna, and the other being the 1812 title. That is a splendid book indeed! I'm tempted to buy the latter as an 'out of the blue gift for my godson... Hmmm? The Full Monty has been claimed. I'll take Conquest & 1812 - can I send Paypal? I very much appreciate your generosity. Yours. Please email me using the contact form at the bottom right of this page with your address and I will reply with my email address and confirmed postage. Ruffin please get in touch. I will continue to hold the two books for you for another 24 hours. No contact so these books are still available.